Heather attended the Vegan Festival as a special guest in Eastbourne, giving a speech about her varied businesses and experiences on the 25th January 2019. This free event had varied exhibitors, vegan food samples and beauty products. 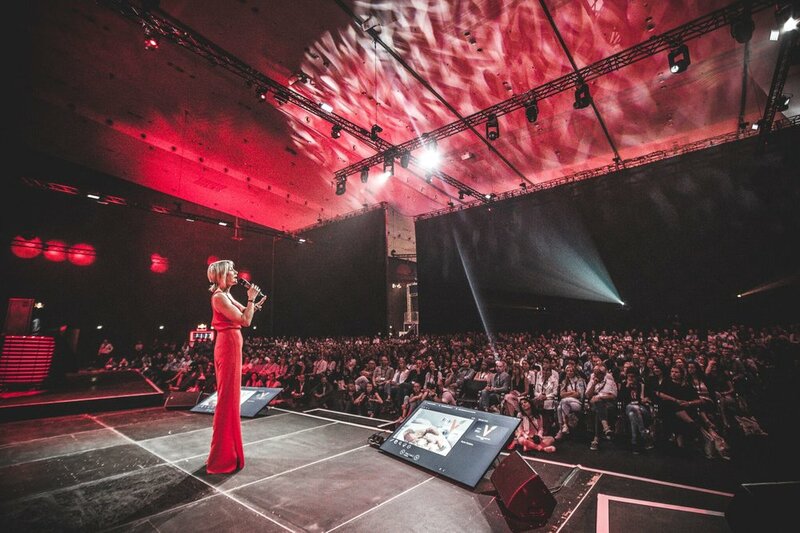 2018 was the 10th anniversary of the European convention and Remax choose the overarching theme "X Change” where they focused on building a connection between the history of the former stock exchange in the city of Amsterdam, their anniversary and most importantly about the Remax business itself. This year, Plant Based Live will be taking place on 8th & 9th September at ExCeL in London. Prepare for two days full of inspirational talks, cookery demos, and wonderful food. Heather will be showcasing her plant based products from her award winning vegan food company, VBites and will be doing a cookery demonstration on Sunday 9th September at 1500 in the Vegan Life Kitchen. We have exclusive 2-for-1 tickets available for the show. Treat a friend and book your 2-for-1 tickets through our special link below - be sure to select the 'VBites' ticket. Alternatively, when booking through PlantBased Live's website, simply use the promo code 'VBites'. Heather, invited by Dotsie Bausch an Olympian cyclist and a fellow compassionate activist for plant-based living, participated as a keynote speaker and panelist to help Athletes ditch dairy, in a Plant Based Athlete Summit held in Los Angeles, USA, 25 – 26 August 2018. The S4G Summit prides itself in being a training Camp for athletes, influencers, scientists and doctors who are all assisting with spreading the message that dairy is not a health food. 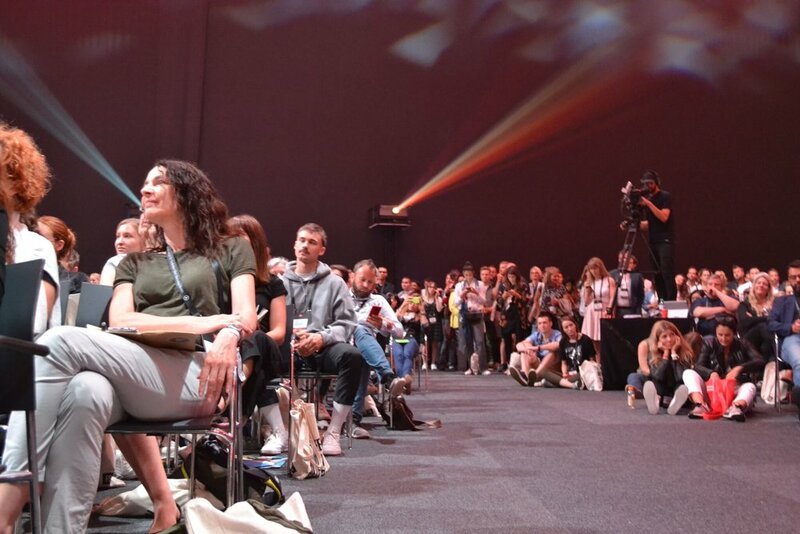 The summit was filled with passionate humans, wanting to make a difference in the world and have a monumental impact on changing people’s hearts and minds to ditch dairy. During the 2018 Winter Olympics, Dotsie, along with several other influential vegan athletes, produced a commercial, titled Switch 4 Good, in response to an advertisement put out by Milk Life. The S4G commercial, which can be viewed here, was a huge success. Dotsie and her team are now taking what was the original Switch 4 Good (S4G) Olympic commercial and are creating that into a world-wide movement. Heather opened the Summit with an incredible keynote speech, hitting home the true dangers and myths surrounding dairy and the medical complications that can arise from consuming dairy and the impact dairy consumption has on the animals and the environment. Throughout the course of the weekend Heather also joined other athletes and key individuals on various selected panels to discuss related topics such as the significant importance of a plant based diet and the benefits this can bring to the mind and body, as well as solutions on converting the carnivore in the short term with exact alternate meat, fish and dairy products to wean them off animals. Each vegan athlete and influencer had their own unique story inspiring people to ditch dairy and embrace in the wellbeing of a plant based lifestyle. “Heather's presentation, video, and delicious V-Bites absolutely stole the show, and we are so grateful for her attendance! Vegan Camp Out returned this August 2018 for another successful festival. Vegan Camp Out, who are partnered with Viva is the UK’s largest vegan camp out, this year sporting an impressive line-up of speakers, activist workshops, yoga and fitness classes, plus a huge array of plant based food options throughout the 2 day festival. Heather was invited by Jordan Martin the organiser, to open the festival with a keynote speech on Friday 18th September. At 8.45pm Heather took to the stage with a crowd of over 2000 jostling for a space in the main hanger at the Nottingham Show ground. Heather’s inspiring hour long speech covered many topics that are prevalent amongst today’s ever growing vegan society, such as the current dairy industry problem and its 3 billion cost to subsidise them from we the taxpayer to transitioning to living a plant based lifestyle, as well as activism and nutrition. But the main message was working with the opposition and problem-solving by making the farmers self-sufficient and not a burden to the taxpayer by changing the dairy industry to grow pea protein and crops instead. Heather's company VBites can buy and utilise in the millions of tons. After the speech many attendees came up to Heather to express their motivation as to how they had been inspired to actually go out and make a difference. “Great talk Heather! Bold and full of humour. Hopefully see you next year"
“Thank you for all that you do. It was so great to meet you and thank you in person"
“Thank you to everyone for being part of an event that's going to be remembered for a long time to come!" To read more about Vegan Camp Out, click here and if you wish to buy any of the 104 award winning products from the VBites range, click here and order online today. Challenging people’s perception of a plant based lifestyle and solving the problems people face. 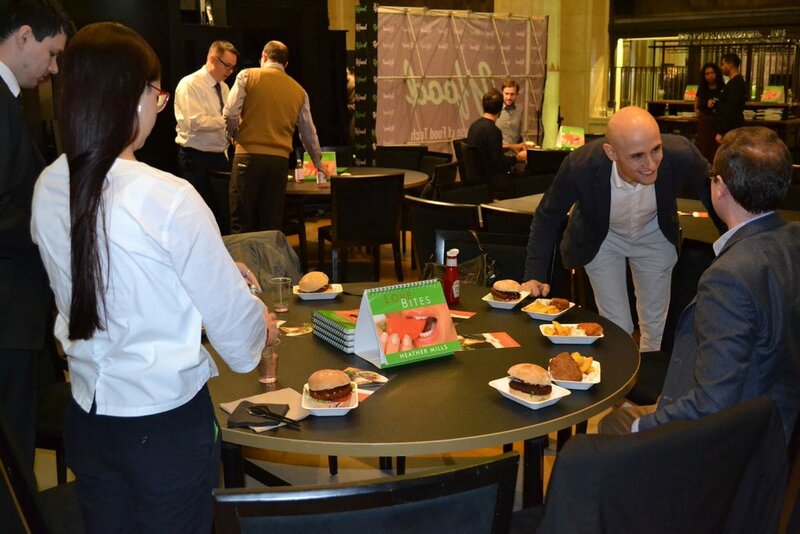 Heather Mills, founder and owner of VBites foods was invited by YFood and London Food Tech week to showcase her multi-award winning 100% plant based company by presenting a luncheon for 250 to the food industries invitees. London Food Tech week is the largest week long showcase and collaboration of companies and trends forming the food ecosystem using technology. The Hyper (R)Evolution Of Eating took place on Monday 30th October 2017 at Banking Hall situated in London’s Square Mile, looking out over the historic Bank of England. Just before lunch was served, Heather gave a short, but detailed introduction to her innovative and leading, original meat, dairy and fish free brand, VBites. Many companies are trying unsuccessfully to replicate VBites products resulting in a plant based product of poor quality. Award winning tasty fish and chips with a tartare mayonnaise, mini quiche’s, sausages rolls, hoisin duck spring rolls as well as the soon to be launched, premium VBites beef style super burger were on the menu. Many of those present at the luncheon were astonished at how incredible the food tasted and how the flavours and texture of the plant based alternatives were identical to ‘the real thing'. “I was really motivated to hear the comments of the attendees today during lunch. A lot of people came up to me during the lunch hour to say that they had no idea that plant based food could taste quite so amazing and look so much like real meat and fish. I obviously love feeding the plant based lovers, but it really gives me satisfaction when the carnivores are blown away by our products and are asking me where they can buy VBites foods. VBites currently has over 74 products in its plant based range and exports to 24 countries. For more information about YFood, visit here. For the website of Plant Based News click here, or here for their Facebook page.